The Roku Express provides access to a lot of streaming channels and apps, but unlike many smartphones and other select media streaming devices, you can't add jailbreak a Roku Express. The reason: Roku devices, including the Express, have a closed operating system that is only accessible by approved developers. 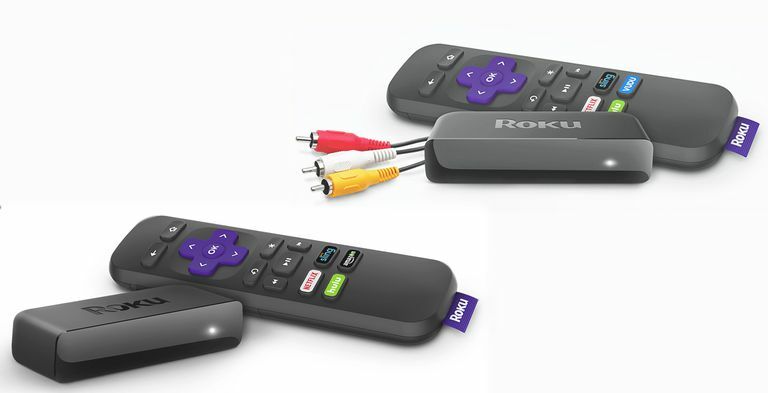 The Roku Express comes in both standard and "+" versions. The Express has an HDMI output only, while the Express+ includes both HDMI and Composite AV outputs for connection to analog TVs. The terms Mirroring and Casting are often used interchangeably (Roku does as well). However, they work differently and will be discussed separately. Screen mirroring is compatible with the Roku Express model 3900 and not the earlier model 3700. For the Roku Express+ screen mirroring works with the model 3910, not the earlier model 3710. Screen mirroring on the 3910 is only accessible for viewing via HDMI, not the composite A/V output. If you have an Android smartphone or Windows PC, you can use Screen Mirroring with the Roku Express under the conditions mentioned above. No network connection is required. Screen Mirroring is usually referred to as Miracast, but different smartphone brands and devices may use different terms. With Screen Mirroring, everything you can see on your smartphone or PC, including streaming services, apps such as KODI, Mobdro, photos, videos, web pages, and other content that you might have installed can be viewed on your TV through the Roku Express/+. This usually includes the smartphone's menu bars and status icons. You can't perform other tasks on your phone while you are using screen mirroring. If you tap another app icon or perform another task, the mirrored content will stop showing on your TV. You have to use your smartphone or devices you are mirroring from to manage your content. You can't use your Roku remote control while mirroring. The Screen Mirroring steps for watching services such as KODI via the Roku Express is the same as other Roku sticks and boxes. The steps required for mirroring from an iPhone to a Roku Express are different than from a Windows device or Android phone. Another jailbreaking alternative for the Roku Express/+ is to use Casting. Casting is compatible with both Android and iPhones, but can only be used with select apps. Unfortunately, these don't include KODI, Mobdro, or similar services. If a smartphone app is compatible with casting (YouTube is an example, Netflix casting not supported on the Express or Express+), the Cast Logo (note the photo above) will appear near the top of the phone screen of the app you want to cast. When you cast from a smartphone or other device, only the chosen content shows on your TV screen (no phone menu bars or status icons). You can do other things on your phone at the same time content is casting such as searching for other content to cast, make a phone call, or even turn the phone off. The casted content will stop if you select another app, channel, or setting on Roku. Check out the steps to Cast to Roku from your Smartphone or another compatible device. Another Jailbreak workaround for the Roku Express/+ is Play On Roku which is similar to Screen Mirroring and Screen Casting but requires the installation of the Roku Mobile App. Music: MP3, M4A. DRM-protected music files, such as M4P, are not supported. Play On Roku works with both Android and iPhones. Open the Roku Mobile App. Launch Play On Roku by tapping the Photos+ icon located at the bottom of the mobile app screen. Select Music, Photos, or Videos. When prompted, grant access to your media library. Select the specific photos, videos or music to share on your TV through the Roku Express. See if your Roku Express/+ has the Roku Media Player App pre-installed. If not, install it from the Roku Store. The media player app allows you to play music, photos, and videos from PCs and media servers connected to the same home network. Compatible media server software platforms include PlayOn, Plex, Serviio, Tversity, Twonky, and Windows Meda Player. Viewing content from PCs and media servers on your TV using the Roku Express/+ is the same as other Roku devices with the exception of the USB option as the Express/+ doesn't have a USB port. If an unsupported file format is detected, it will not be accepted by the Roku Express. Also, if using Express+, images that are compatible via HDMI, may not display properly via the composite AV outputs – You might find it hit-or-miss.